the text, people in Germany and-purchased wants and the knowledge about the breed wants reach them! Hello. Even your homepage we visited and were absolutely inspired of it. The page has everything that one can require it is very informatively in addition, funny. 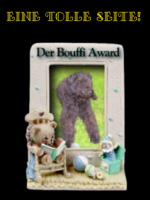 we with the Bouffi Award thank you. but colored well one on the other coordinated, exactly like we like it! Also navigation and the loading times are okay. 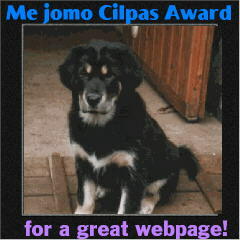 Page and have much fun with our Award!